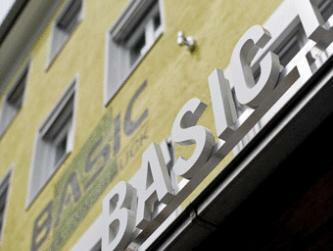 ﻿ Basic Hotel Innsbruck Innsbruck. JIMAT di Agoda.com! Hotel bandar yang moden ini terletak di dalam sebuah bangunan yang telah diubahsuai sepenuhnya di tengah-tengah Innsbruck, hanya satu minit dari Golden Roof. WiFi juga disediakan secara percuma. 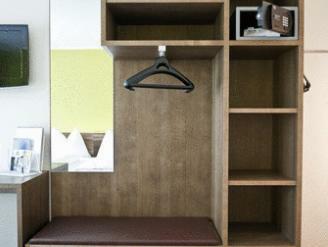 Bilik-bilik di Basic Hotel:Innsbruck mempunyai TV kabel, kipas siling, meja kerja, dan bilik mandi dengan pengering rambut. Pelbagai sarapan, snek ringan dan roti yang baru dibakar dihidangkan di bistro di lokasi. 2 tempat parking kereta bawah tanah dan persimpangan semua pengangkutan awam di Innsbruck terletak sangat dekat dengan Basic Hotel. Congress and Exhibition Centre, University of Innsbruck, dan galeri beli-belah terletak hanya beberapa langkah. Inn Valley Bicycle Trail l kanan oleh Basic Hotel: Innsbruck. Kemudahan parking untuk motosikal juga disediakan. Outside the stated times, you can check in with your credit card at the 24-hour check-in terminal. The hotel location is very good. You can go to Inn river and all in town tourist spots easily. The staff are also nice. The bed is pretty small while the room is big. Clean and big room good for 3 persons , nice view , location is also good , short work to inn river and colorful house Breakfast is delicious . This hotel is very close to the old city - like a walking distance - so convenient to walk around by yourself. The room was big and nice. Hotel parking lot also right behind the building, which is awesome. Even they do not provide breakfast but right next to hotel is a very nice coffeeshop that serve good breakfast. Recommended for everyone. 5 minutes by bus from train station and it's not far from old town by walking through magnificent view. Take a bus from train station and take a 2mins walk to hotel. Hotel is near the food area and the market is just beside. Nice small hotel with beautiful mountain view. Convenient location with variety of restaurants and shopping areas around. Accessible to many tourist attractions as well. The hotel is comfortable, modern and fresh, with helpful staff. It is well located, just near the river, the fresh food market, an outdoor market and a range of Cafés, Wine Bars and Restaurants. Our room was large and bright with a good sized ensuite shower room, hair dryer and safe. (No fridge or kettle.) Self service drinks and snacks are available in the foyer, but for the BEST breakfasts, lunches and snacks try the Bakery/Cafe on the premises next door. This is a good 3 Star hotel. 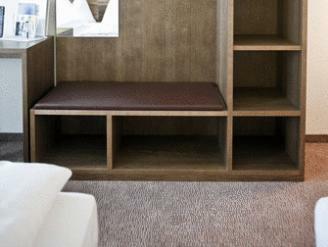 Room size, close to major attractions, affordable. A very enjoyable stay, clean and comfortable room. The hotel is close to local attractions and there was a pretty good cafe beside the hotel. Very nice and will visit again in future. Very close to the fruit market and good restaurant. It seems to help if you speak german as then things go really smooth and they are very nice. For the price, the location and view and room is great, so i would truly recommend the hotel. i enjoyed our stay and my husband too loved it. And the movie channels are all in german, except for the BBC. :D We hope to be back, but definitely with someone who can speak german! :D The parking: Even though the girl at the reception seemed a little dense and didn't seem to realize there was parking space even after we told her we checked and there was space available, so could we park there or was the space reserved? And she told us nope, there was no space, so i thought she was just being mean? As she told us there was no space and didn't give an explanation. But she apologized later after we had parked as apparently she had assumed there was no space,so she had misunderstood our request. 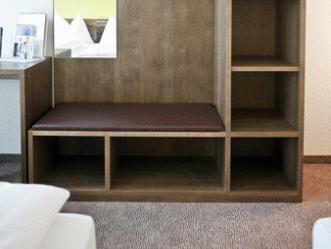 We used the Basic Hotel Innsbruck for a stop over on our way to Italy and found it to be a very good pick. There are several parking options within a few meters and the location is pretty much within the heart of the city. The reception desk is simple and reminded me of a youth hostel. The lift hardly fits two people and their suitcases but that is the only negative point. Our room was spacious, nicely decorated and very clean. I would definitely go here again. We booked this hotel because it was highly recommended and it was centrally located. When we arrived, we parked our car in front of the hotel which was convenient (but need to move the car by 9am the next morning). Check in was swift and the room were simple, new and modern. The bathroom is covered with frosted glass and the wifi was free (altho we had to log in every 3 hours). Breakfast was served at a cafe next door, starting at Euro3.80. We enjoyed our stay at Basic Hotel..it was anything but basic.